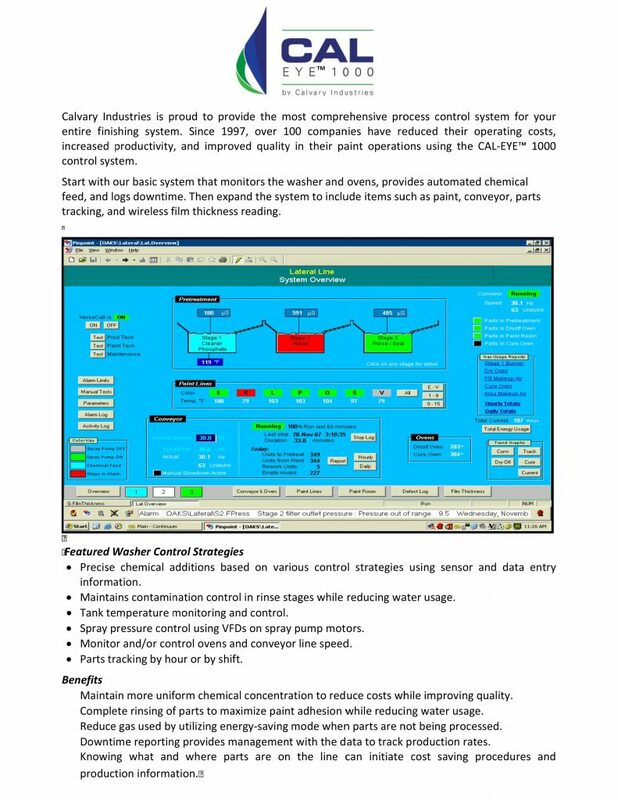 Process control is key to a high performing process. Be able to maintain consistency in your systems, control product consumption, monitor and control process parameters from a central location helps modern manufacturing staff stay on top of their game. 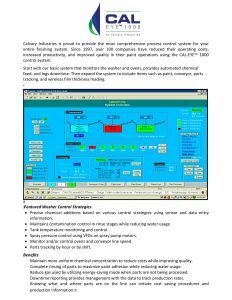 Calvary Industries has designed the CAL EYE 1000 systems as a modular process control center with analytical, monitoring, control, and data logging capabilities. 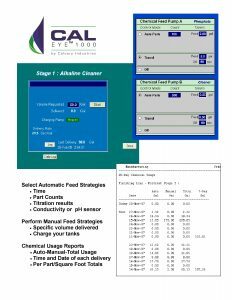 If you are washing, pretreating, plating, powder or liquid painting, electrocoating, anodizing, or any other chemical process, let one of our engineers design a system to help you stay in control of all your processes. Doesn’t fit your needs? Contact us for information on additional product options.